Our company is renowned for the quality of its precision balls and also supplies polishing and grinding balls. Our different type of precision balls include: precision steel, stainless steel and plastic balls, and other precision balls (tungsten carbide, ceramic, glass, bronze and brass balls). Precision steel and stainless steel balls are defined by their nominal diameter, the raw material from which they are made and by their degree of precision. Grinding & polishing balls we stock mainly steel balls, stainless steel balls and glass balls. Our technical sales team is at your disposal for any further information and requests for quotes. So don't hesitate to contact us. 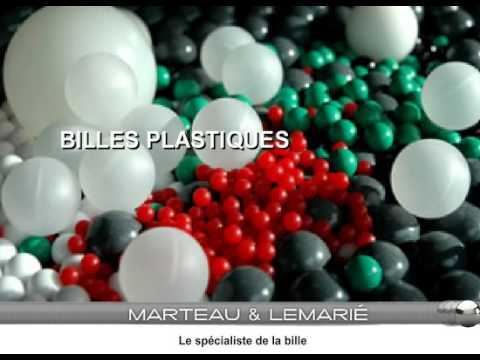 Marteau & Lemarie ball specialists since 1922, selling all types of industrial balls on the market.